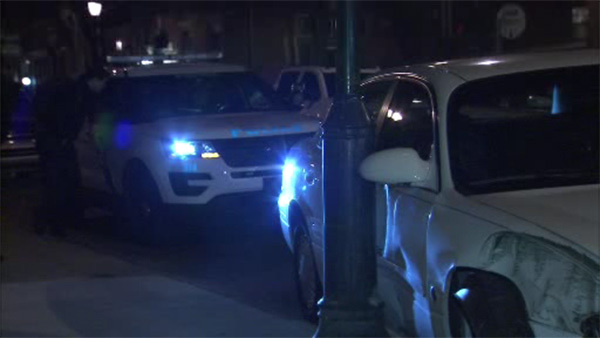 CENTER CITY (WPVI) -- A driver loses control and crashes into a light utility pole in Center City, Philadelphia. It happened around 2 a.m. Monday at the intersection of 16th and Locust streets. After knocking down the pole, the car ended up partially on the sidewalk. So far, there are no reports of serious injuries.